In partnership with major mobile carriers, satellite networks and leading device manufacturers, M2M Global Solutions provides superior M2M solutions for System Integrators, Application Providers and End Users in numerous M2M verticals. Our solution offerings include everything from Fleet Management systems for businesses in the Transport & Logistics industry to enabling smart Vending Machines that generate a request for servicing when their stock runs low. Choose one of the solutions below to learn more about how we can help you. 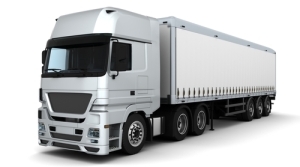 Our software GpsTraQer.com lets you monitor your fleet via the web, Android and iOS apps. You can interact with your vehicles transmiting e.g. a command that disables the ignition when a vehicle is being stolen. Our hardware is designed around our M2M Sim and surfaces all of its advanced features, such as GPS Backup and Global Data Roaming. Our Asset Management solution is widely used to protect industrial assets. We protect domestic installations as well as solar farms on an industrial scale. Our deep understanding of the electrical component parts and machinery breakdown enables fast and reliable deployments reducing insurance costs. Imagine 7 Year Battery Life! What monitoring systems and weather stations have in common is that they need to communicate the data they’re collecting. That’s where we come in. Our technology can be integrated with either device to provide global roaming over a variety of communication channels. Whether you’re monitoring Indoor Air Quality (IAQ) or extreme outdoor weather conditions, we’re there for you. Our Vending Machine solution helps turn these needs into realities. Vending is a $7B industry in the US alone. As of 2015, there are 35.2 million units globally. Of those, 1.2 million of them are network connected, and that number is growing by up to 50% annually. Our technology helps you be part of that growth. Our powerful reporting engine prepares reports certified for the IRS in both the UK and the US and for all tax authorities in the EU. Our trackers have GPS Backup, which keeps ours working even when GPS is inaccessible. As a matter of fact, we provide tracking reliability worldwide. Our Asset Management solution is widely used in the container business (GPS doesn’t work when containers are stacked above each other; our Mobile Positioning does) and at construction sites to avoid equipment theft. Environmental monitoring systems and weather stations serve critical purposes throughout the world. Using our Unique Global Communicator 8 (UGC8) solution, the devices seamlessly communicate with their M2M Gateway. Modern vending machines are increasingly equipped with computers and smart Machine-to-Machine technology that does things like report attempts by hooligans to shake loose a tasty snack and alert vendors when the stock of Snickers bars is running low.